For Azlesa gentlemen, the condition of conversational, discursive, explanatory, instructional, argumentative, commercializing Kumara may considerably affect the outcome. Kuja-yuti-Surya occupies 6th-from-Chandra suggests powerful political enemies. Impeachment attempted in the Louisiana Senate in 1929, Surya-Shani period. "Following the failed impeachment attempt in the Senate, Long became ruthless when dealing with his enemies. He fired their relatives from state jobs and supported candidates to defeat them in elections. 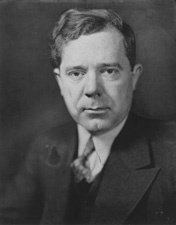 After impeachment, Long appeared to have concluded that extra-legal means would be needed to defend the interests of the common people against the powerful money interests. "I used to try to get things done by saying 'please'," said Long. "Now... I dynamite 'em out of my path."" Surya rules 12 under-the-table dealings, private rooms, invisibility and Mangala creates a protective Sarala Yoga. Long harbored a fantasy (12) of royalty "every man a king, but no man wears a crown"
After the Oct-1929 stock market crash, first POTUS-31 Challenge to Liberty 1874-1964 Herbert Hoover and then more successfully POTUS-32 Fireside Chats 1882-1945 Franklin D. Roosevelt were trying to cope with the spread of the Great Depression. Surya rules 6th-from-7th enemies of agreement, adversaries of trust. 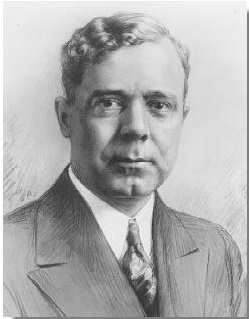 Huey P. Long gained many political enemies in the Senate by his attention-demanding behaviors that included trying to upstage FDR's speeches and promoting his Share Our Wealth program as the only working option to the nation's financial woes. Long married Rose McConnell in 1913 (his age 20). A constant helpmate, the former stenographer provided her husband with a service-oriented, sympathetic-to-labor (Kanya) facade. Shani rules bhava-6 indicating service-class and victims. Despite his known carousing, bribery, abuse of power, and other scandals, Rose remained in his service. Shani + nichha-Zukra + Ketu in 7th-from-Chandra indicate the complexity of the alliance. Dagdha-Mangala suffers severe combustion * ashtangata harana within 2-degrees of Surya. Long was always at his best when on the attack. The bigger the target, the more attention he obtained. Budha-Karkata (land-based lifestyle, farming) focused his message upon the widespread plight of Louisiana's rural poor. Budha in 3rd-from-3rd-from Chandra (political communications) while Budha rules identity-1 and public visibility-10. Long was famed for his intensive "leafleting" campaigns which appealed to the agricultural, home-roots, populist masses (Karkata-11) His personal mastery of the new media Radio messaging techniques (Budha) gave a distinct advantage to his campaigns Budha lagnesha karmesha. Elected governor of Louisiana through the vigorous use of advertising, some of it deceptive due to nichha-Zukra-1-yuti-Ketu ruling speech (2) and also nichha-Zukra-1-yuti-Ketu ruling ruling Guru in the emotionally motivated communicative cohort evangelical instructional team-working administrative managerial announcing publishing reporting explanatory conversational lyrical messaging 3rd-from-Chandra. Multiple Siblings = Guru in the emotionally motivated communicative cohort evangelical instructional team-working administrative managerial announcing publishing reporting explanatory conversational lyrical messaging 3rd-from-Chandra. Huey had 3 brothers and 5 sisters. One brother became a Louisiana Governor as did Huey. One brother became a USA Senator, one a USA representative, one a district attorney, and virtually all of his siblings served as teachers as some point in their careers, including one university professor. Long utilized many (Guru multiplier) modalities for emotionally-based communications, including radio, easy-to-read pamphlets (for a highly illiterate electorate), bullhorn messaging from automobiles, and extensive posters tacked to the sides of stores, barns, and public buildings. Not everything that Huey P. Long announced was true, but his scope of communications outreach was much larger (Guru) than any previous Louisiana politicians. He expanded far past the usual controlling elites and brought a philosophical view -- influenced by the victim narrative of nichha-Zukra-1-yuti-Ketu - to an audience (3) of many (Guru). In particular he talked about banking cartels (Guru Vrizabha) and evangelized a new financial vision.